I was feeling kind of crappy this weekend. My old pain decided to flair up on me. I really wanted to finish sewing my a top for Project Run and Play, but the tracing and cutting was to much to take on. Instead I focused on a project that was already cut, and had been sitting in a pile waiting to be sewed. 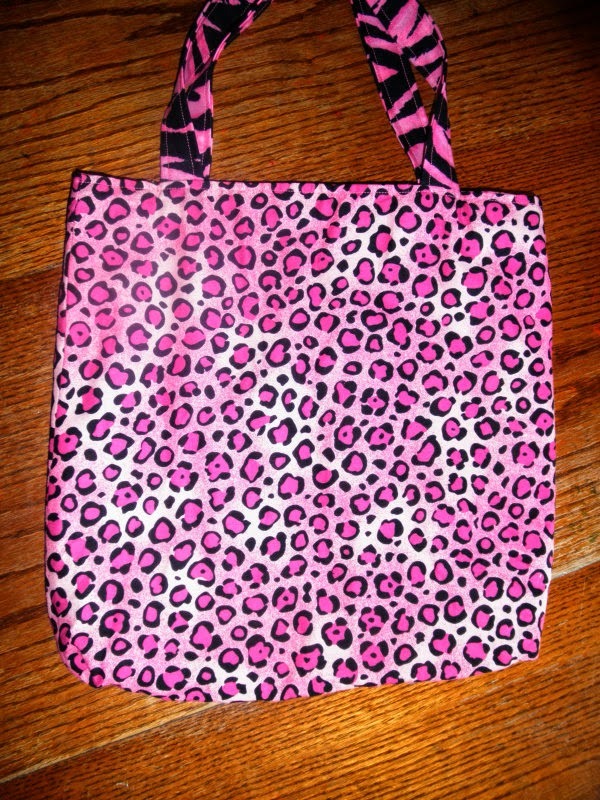 MJ of MJ's Lost Cause has set a goal of collecting 100 handmade tote bags by Mother's Day. She has asked for embellishments to be added as well, but in my current state I was only able to embellish one of my five bags. I plan to add a pretty pin to the other four before shipping them out. I also dug deep into my fabric stash to find the best stuff that I had been holding onto for something special. 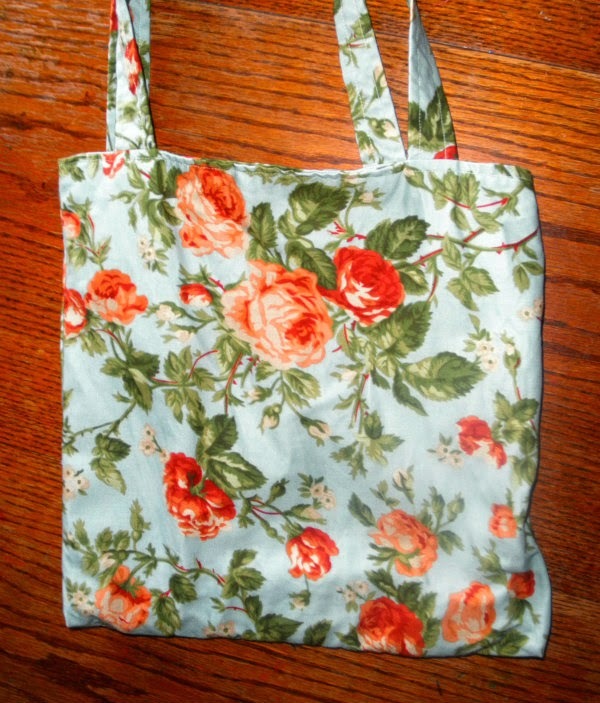 It's very rare that my family agrees on anything, but we did make a unanimous decision that floral bag was our favorite. If you happen to have some free time (the bags take less than an hour each to make) and some spare fabric you can make a couple yourself. 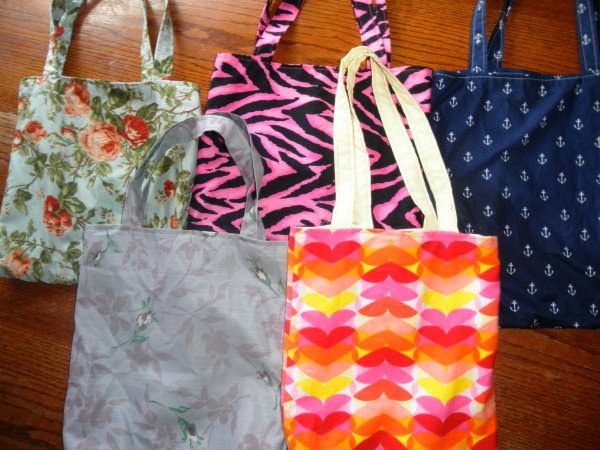 For every five bags you make you can pick one free pattern from Sew Like My Mom. You also get the chance to make someone who is feeling crappy (like me) feel a little bit happier. 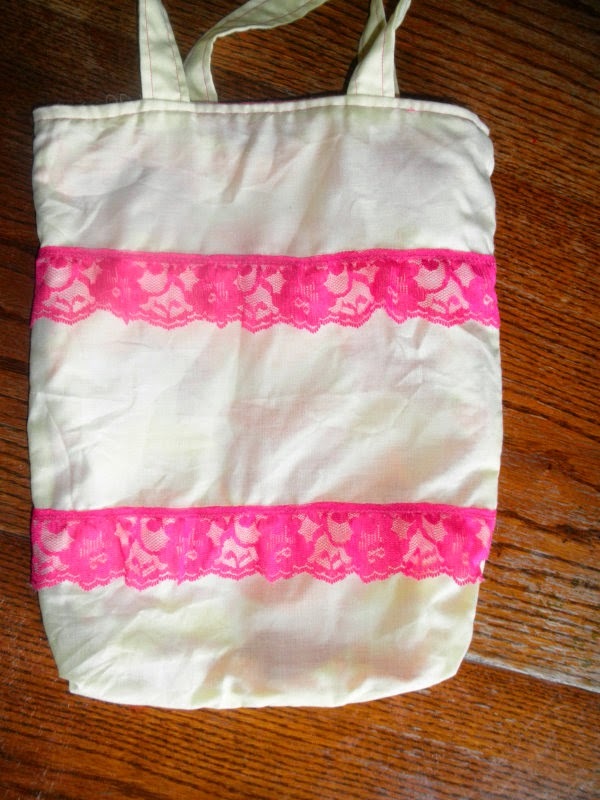 The bags are needed by Mother's Day (including shipping time to Texas) so you have a few weeks left. I could barely walk across the house this weekend, but managed to get five bags sewn. It really is an easy project. If you are looking to do some other crafty good deeds check out my Pinterest board. I try to update it every time I see something new. If you know of any charitable crafting projects let me know in the comments section and I'll add them to the board.